A veteran in the art and cultural arena of Manipur and a Sangeet Natak Akademi awardee, Wangkhem Lokendrajit, passed away in New Delhi on Saturday. The seasoned choreographer breathed his last at the All India Institute of Medical Sciences (AIIMS) in the national capital where he had gone for regular check-up. According to family sources, he was suffering from low blood pressure and other related ailments. Lokendrajit was just 60 years of age at the time of his demise. He leaves behind his wife, two daughters and three sons. He was born on January 30 in the year 1958 in Kwakeithel Mayaikoibi Chaungbam Leikai of Imphal West. He studied choreography from Natya Institution of Choreography in New Delhi under the directorship of Maya Rao, a recipient of Sangeet Natak Academy award. Lokendrajit was conferred the Manipur State Kala Akademi Award in 2007. He was working as a production unit in-charge at Jawaharlal Nehru Manipur Dance Academy since 1985 as dancer, and appointed choreographer in 2009. 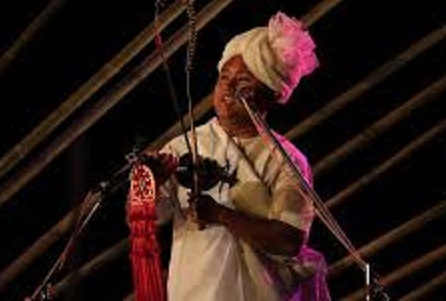 He was also a regular performer at the state Sangai festival since 2011. He was fluent in Manipuri dance such as Poong, Thang-Ta and was awarded Grade A by the Prasar Bharati Broadcasting Corporation of India (Doordarshan) New Delhi in 2000. He had performed in many national and international platforms. Lokendrajit had won critical acclaim as a dancer and choreographer for his number of dance-dramas for the production unit of JNMDA including Moirang Sha, Wainupareng, Shakuntala, Hijan-Hirao, Meghnath Bodha and Shradhanjali. He was conferred the Sangeet Natak Akademi, one of the most prestigious national awards for performing arts, in 2015.